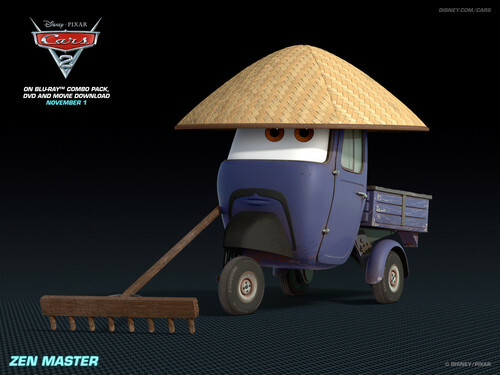 Zen Master. . HD Wallpaper and background images in the Disney Pixar Cars 2 club tagged: cars 2 wallpaper. This Disney Pixar Cars 2 wallpaper might contain outhouse, privy, earth closet, jakes, covered wagon, conestoga wagon, conestoga, prairie wagon, prairie schooner, and chuck wagon.